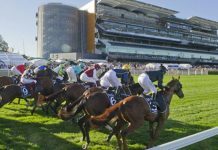 Home Horse Racing Are Waller runners on the nose? 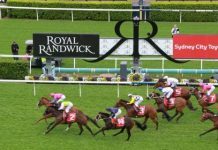 Chris Waller enjoyed a stunning rise through the ranks to achieve almost unprecedented success as a champion Sydney trainer. All whilst maintaining a reputation as one of the nice guys of racing. But it’s clear that in recent months the Waller stable has under-performed relative to market expectations. 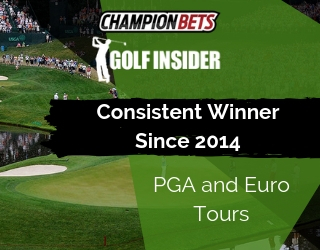 The sum total of the betting market is very intelligent, and year after year we see a perfect correlation between market rank and winning percentages. 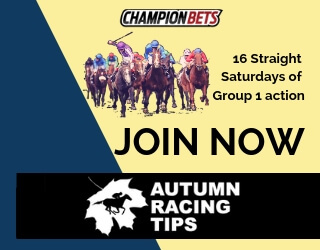 Our job here at Champion Bets is to help punters win, and a key aspect of that is looking at both short and long-term trends to see where there may be some value. 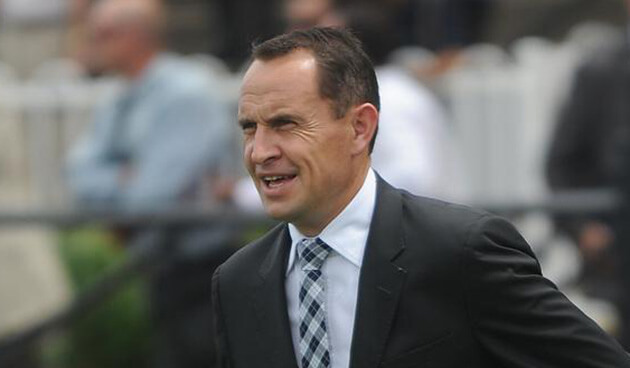 So today we have broken it down to ‘before and after’ the news broke that a Chris Waller runner tested positive to the party drug ice. That news was made public on November 10th, 2016, when a stewards inquiry was scheduled. A $30,000 fine was issued a month later and it was also reported that random drug tests of his staff members resulted in 5 positives to banned substances. *this figure is actually right in line with the market average. Despite all the Waller winners over those three years, it wasn’t more or less profitable to follow his runners than those of any other trainer. So a significant drop in strike-rate but an even bigger drop in profitability. December was the worst month in terms of PoT in the 38 months of this analysis. One very interesting aspect of this deterioration is the performance of horses on debut or resuming from a spell. Now over the 3 year ‘before’ period these Waller runners were actually profitable as a group, yet since November 10th they have an abysmal 4% strike rate for a 64% loss on turnover. It is very clear that Waller runners are performing nowhere near either current market expectations, or his record over the 3 years prior. 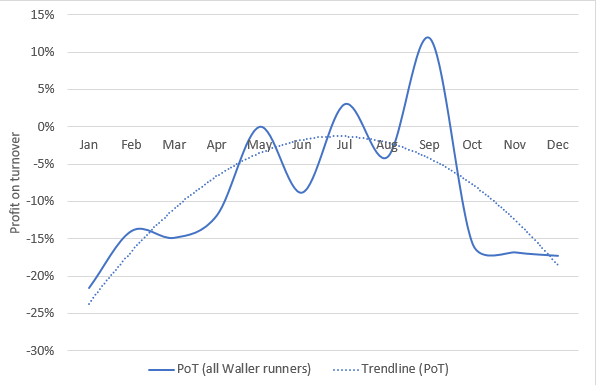 That chart shows that a summer slowdown is not unusual for Waller. 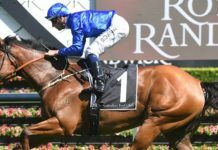 Performance against market expectations isn’t something he can directly control, but training winners is Waller’s job and right now that isn’t happening. 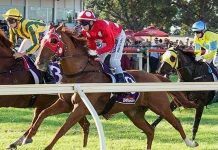 The market always catches up over time, so don’t be surprised to see some Waller drifters in coming weeks until the wheel turns again. That may well coincide with his traditionally strong time of the year. 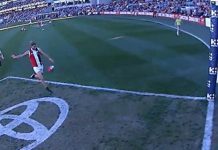 Just another ‘piece of the puzzle‘ as NSW pro punter Nathan Snow would say.